‘Alice,’ our second production of the season, has presented the Director, Pauline Clayton, with many difficulties especially in casting and staging. We hope that you will enjoy ‘Alice’ as much of ‘Toad of Toad Hall’ was enjoyed last year. Among the new members taking part in ‘Alice’ we should mention Loretta Thompson who plays the leading part of Alice. We wish her success in her first part for the Players, and hope many other parts will follow. We must thank the Little Theatre Club for the loan of Bryan Stubbs who plays the part of Humpty Dumpty. Our next production is ‘Journey’s End’ by R. C. Sherriff, to be produced by Kay Gardner, the Director of the Lincoln Theatre Company. This year marks the fiftieth anniversary of the outbreak of the Great War and we feel it very fitting to put on the only English play of lasting merit which seems to have emerged from that conflict. Modern opinion may diverge as to the validity of the sentiments expressed in the play but few would deny its force and emotional appeal. 'Alice,' or to give the work its rather more portentous Victorian title - 'Alice's Adventures in Wonderland and Through the Looking Glass' - was written originally a century ago by an Oxford lecturer in mathematics. His real name was the Rev. Charles Lutwidge Dodgson but he will ever be remembered as Lewis Carroll. He wrote 'Alice' for the small daughter of the Dean of his college, Christ Church, and this girl, Alice Liddell, in fact lived until 1934, only a generation ago. Lewis Carroll could never have dreamt that his work would become a classic familiar to practically every child in the English-speaking world. And not only the English-speaking world, for the book has been translated into many languages and quite recently Walt Disney made it into a film with music. 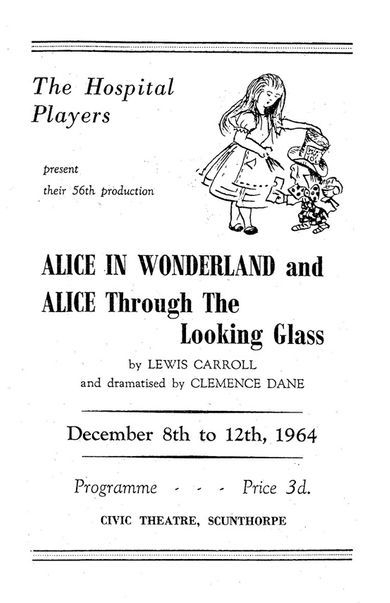 Not so familiar perhaps is this stage version of the book, which was first performed in London during the war with such famous names as Sybil Thorndike in the cast. Perhaps it can be said that the medium of the cinema allows far more scope than the theatre for the weird technical effects, such as Alice first shrinking and then growing to giant size. Nevertheless, we feel that the play allows some of the famous 'Alice' characters a great chance to establish themselves with the audience. Take the governessy Red Queen, for example... or the Queen of Hearts and her 'Off with his head.' Take the fussily bureaucratic White Rabbit for instance, or the henpecked King of Hearts or the sardonic Cheshire Cat or the snobbish Humpty Dumpty or those masters of Goon-type dialogue, the Gryphon and the Mock Turtle... but the list is practically endless. Modern Freudian psychologists have had a field day with 'Alice' of course, but we won't pass judgement on that. We will simply say that if you want to see such famous scenes as the Mad Hatter's Tea Party and the Trial of the Knave of Hearts or such famous characters as Tweedledum and Tweedledee and the Lion and the Unicorn, bring your children to the Scunthorpe Civic Theatre on the following dates. 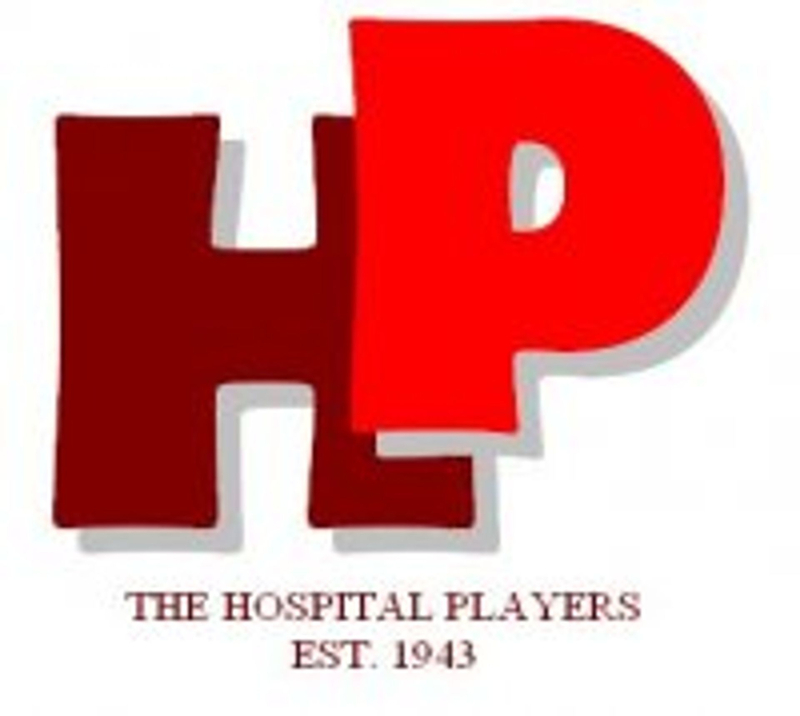 Tuesday to Saturday, December 8th to 12th at 7.30 p.m. There will also be a special Saturday matinee at 2.30 p.m.